Sometimes lost files may get damaged or partly overwritten, and they cannot be recovered properly via traditional method; on this occasion, you can try recovering lost data based on file type. 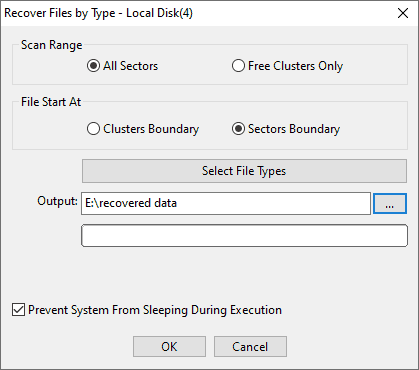 This function performs a deep scanning on selected disk space and finds out lost data via recognizing data layout, so that it is able to recover as many files as possible. This file recovery solution is effective and safe. Currently, more than 100 file types are supported. 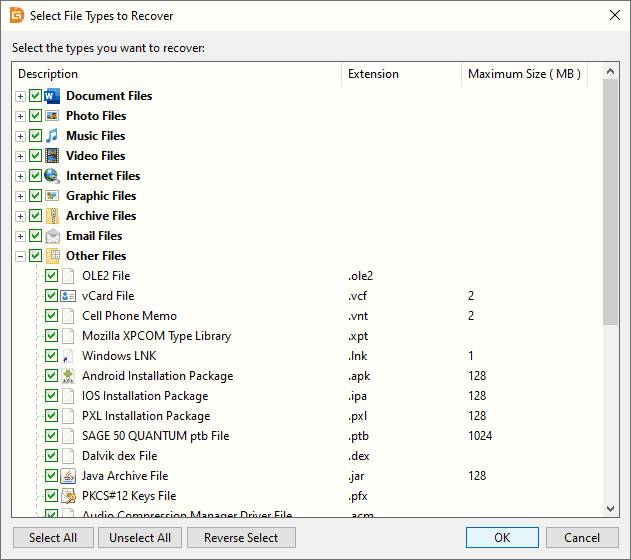 This feature is included in File Recovery function and it can also be used in the following steps. Step 2 Click "Select File Types" button and select file types you want to recover. 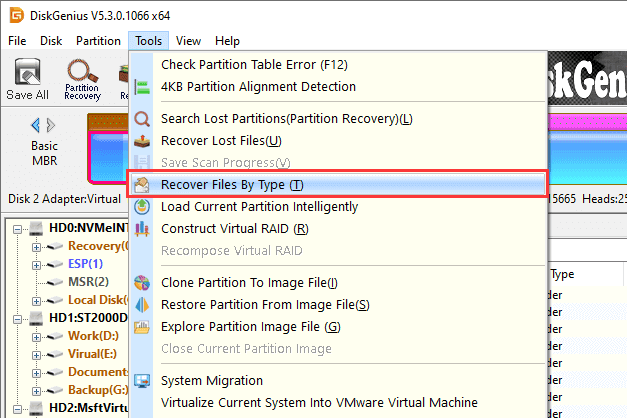 Step 3 Click the output button to set destination folder so that recovered files can be properly restored. Step 4 Click OK and DiskGenius starts to searching for lost files and restore them to the specified folder. Files recovered in this do not keep original name, and you can filter data via file size, type or file preview.